Estonia had been the first team certain of qualification to the Finals. Their 3-0 home win vs. Latvia changed nothing in the ranking. According to Wikipedia, Romania, Slovakia, Portugal, Ukraine, and Greece also secured berths to the Finals. I am quoting Wikipedia because CEV have given no confirmation yet on Portugal's ticket. However, if one does the Math, Portugal are definitely among the best 5 runner-ups in the worst case, as the eventual runner-ups in Pools F and G will be weaker. So Wikipedia is obviously right. What they listed wrongly, though, is that Portugal would surely advance as group winners, which is not 100% certain before the last matches. Finland did their job in their 4th and last match and will have to keep fingers crossed for fortunate outcomes. Montenegro and Moldova will battle for the runner-up spot directly tomorrow (Moldova beat Montenegro at home in the first week). 3-0 will be enough for Norway to make the sensation and finish second above favourites Belarus but would it be possible? Macedonia should once and for all do it right in the qualifiers and take that second spot. Sweden take on one of the pleasant surprises Azerbaijan at home. A win for the visitors might send them to the Finals, whereas a home win might be enough for the second place but not enough for one of the top 5 runner-up spots. By the way, there were some players missing in this penultimate round. I guess they were rested before the matches tomorrow as they all had played in the previous rounds. A word of caution to everyone that would like to buy the subscription fot CEV's EuroVolley. tv - don't do this. They hired some company from the UK to operate the platform on LAOLA1TV's engine, and the way they do this is amateurish. I started my free trial yesterday and tried to watch some games usinga Dutch VPN (because apparently in Poland I would still have to wait 48 hours after a game finishes to watch it.) Guess what? The site, even on premium account is filled with bugs, annoying commercials, ads sometimes appearing DURING the game, the matches have absolutely no commentary or additional information available (such as team rosters, referee info etc.) the camera work on some of the matches is outrageous, and best of all? Some of the matches are n't even available. Yesterday there wasn't any broadcast of the game between Azerbaijan and Luxembourg and now they took the stream of Georgia vs. Spain for half of the game. I realize those aren't exactly the kind of matches you're looking all year to watch, but damn, if they want to charge money I'd expect at least some proffesionalism. Not to forget, there are volley fans in Spain or Azerbaijan too, and this was possibly the only option they got to follow their national team. A few years ago when FIVB started uploading the World League matches on YT I thought they're going to go the path taken by IIHF or FIBA. I could right now just enter youtube and watch basically any of the World Basketball Cup qualifiers for free. But sadly, it's clear the current administration of CEV/FIVB is interested in milking money from the fans in Poland, Italy, or Brazil then actually promoting the sport. So it's official - Georgia is the only team that didn't win a single set in the qualification tournament. edit: though it will probably be joined by Iceland. Edited once, last by Polish96 ( Jan 9th 2019 ). I am very sorry for the way things turned out for you! We can all relate in that matter, unfortunately. I was hesitant as to whether to start the subscription, although I still don't know what they are going to show (come on, only the European League?!) when the Champions League is over. Well, for some of the CL games I found streams and decided against the EuroVolleyTV subscription for the time being. Also unfortunately, any change by the governing bodies in our game is most often bad and inadequate, that's why it is usually advisable to wait at first, unless there is no other alternative. FIVB's TV wasn't much better when it started and I can't say it is miles ahead now. As for the paid channels, I guess they copied the way football leagues sign numerous contracts, often with different TV broadcaster for the same event. Volleyball should rather not compete with football in terms of money involved, interest, and professionalism by the parties involved. That CEV literally blocked the Champions League and the forthcoming ECH in 2019 for a large part of its fans is yet another ridiculous story. By the way, I can share my negative experience with the first attempt of FIVB to launch a web store, the VNL one. You remember which one (there was/is only one), it was advertised on social media, Facebook above all, banners, and gyms. This was the poorest service by an online shop I have ever experienced in my life! And even if the website was partially made OK (only partially), I know websites without https connection or certificates, with dubious payment methods, contact forms, and feedback, but even the latter provided more adequate service than the "professionals" in or hired by FIVB/CEV. Sorry for the off-topic! Israel caught up a set against Latvia, Portugal were obviously asleep in Albania, whereas Croatia vs. Austria was delayed for some reason. Time for my two main matches tonight : Norway vs Belarus and Montenegro vs Moldova. A win for either Norway or Moldova would be historical. OK, so not to be only negative, I admit it's nice to see full stadiums in most places, clearly CEV and the local bodies did their best to advertise the final games. So... no history tonight I feel bad for Moldova, they looked like they were about to cry We still have pleasant surprises in the form of Romania and Austria. Let's not forget Montenegro and Macedonia. They'll add value to the ECH and are up for their historical first appearance. The draw will take place today at 18:30 in the beatiful 103 meters . 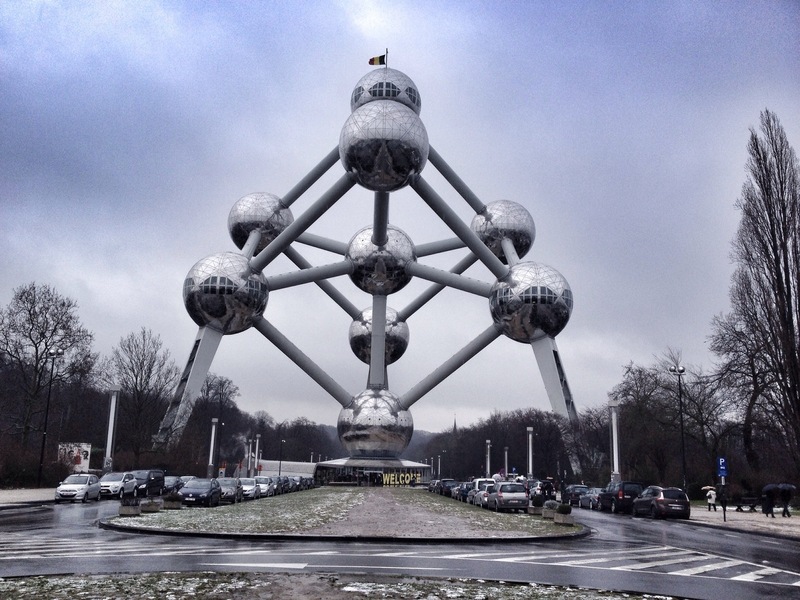 high Atomium building in Brussels. And these are the Pots, based at the current CEV european ranking. Notably, Germany and Russia can not play in the same group. I think POOL A will be the group of death. We already have France vs Russia/Serbia/Poland/Italy confirmed, and possibilty that Germany or Bulgaria will be drawn to this group too. The Atomium is ugrly building with no offence. How to mix? another drawing?